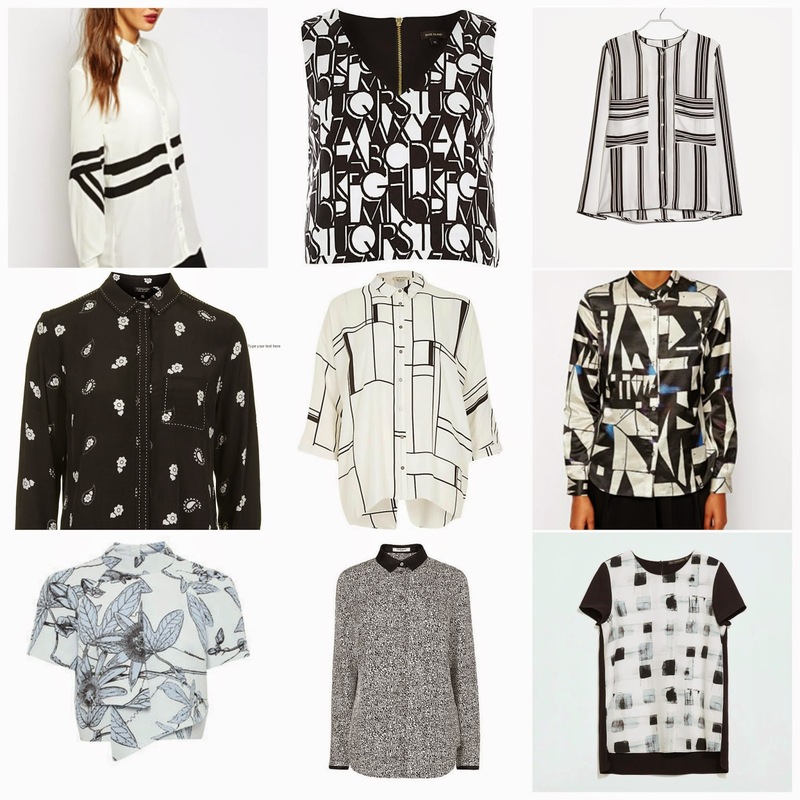 Monochrome is once again back this season and designers have taken a rather graphic approach towards it this year. Here's 9 of the best out there. 1. Daisy Street, £19.99 available at Asos. 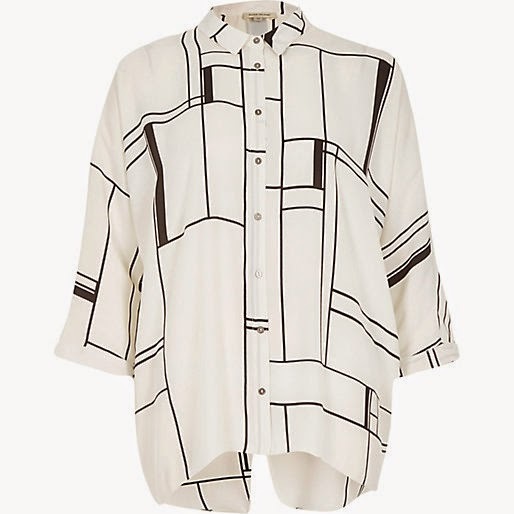 This over sized shirt is a bargain at just twenty bob. It's shape is suitable to all and simple pattern makes it very wearable. Wear it with a pair of leather look leggings or skinny black jeans, then top off with a Fedora and some statement jewelry for an instant high fashion look. 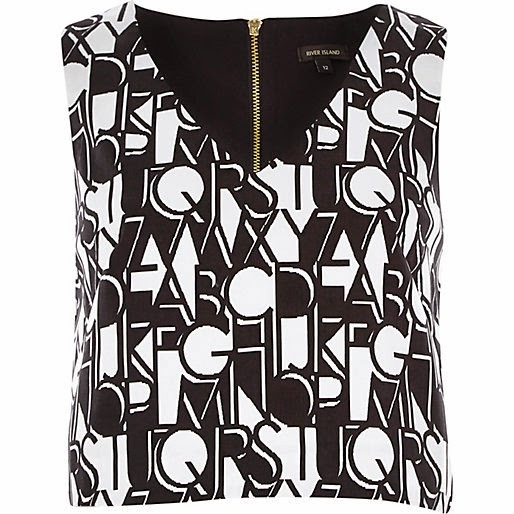 This quirky crop top is perfect for nights out and clubbing. If you want to make a statement there are matching shorts from River island. But if you would rather make the top a feature match it with something high waisted and a Kimono. 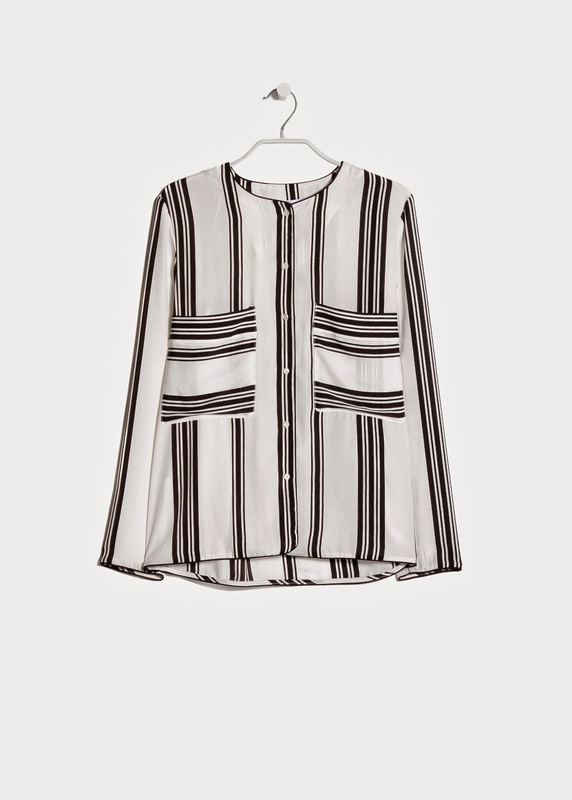 Vertical stripes continuing to stay in fashion this season and this collarless blouse from Mango will no doubt already go with a lot in your wardrobe. 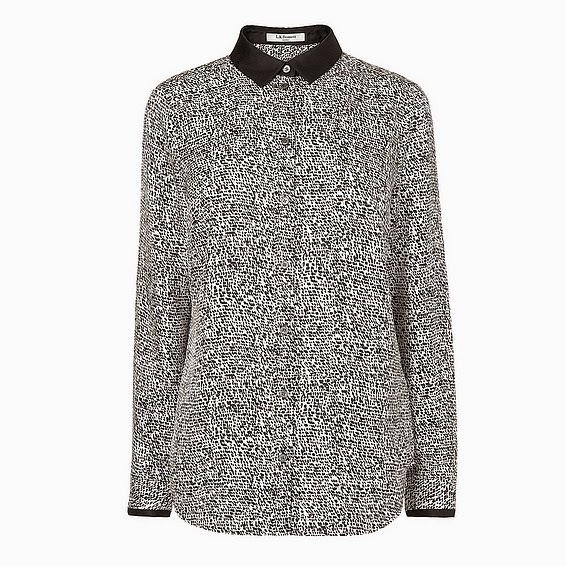 The popular gingham print from AW14 will work with this perfectly. Alternatively tuck it in to a black bodycon midi skirt and heels for a smarter look. 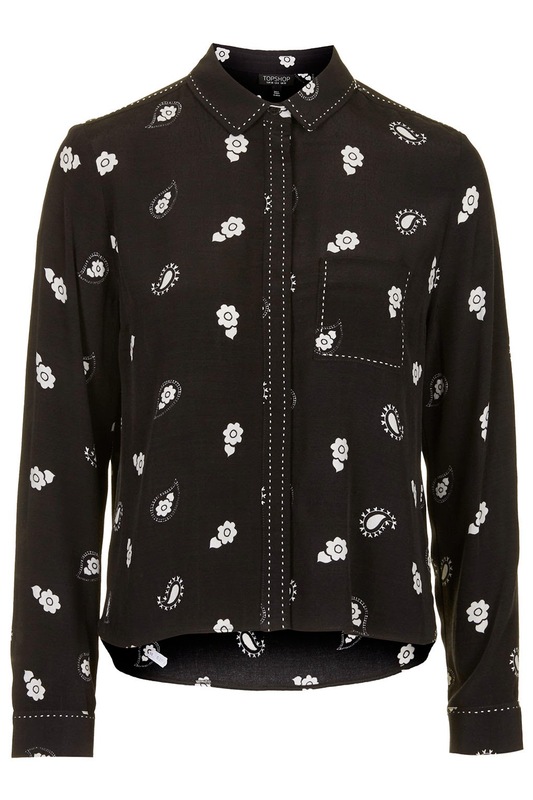 As seen on Topshop Cover girl, Cara Delevigne, this shirt is sure to be a sell out and I can see why. It can be worn in so many ways. Tucked in with a high waisted pencil skirt, layered over a bralet on nights out, lose over some leggings or how topshop have styled it- underneath a leather gilet. 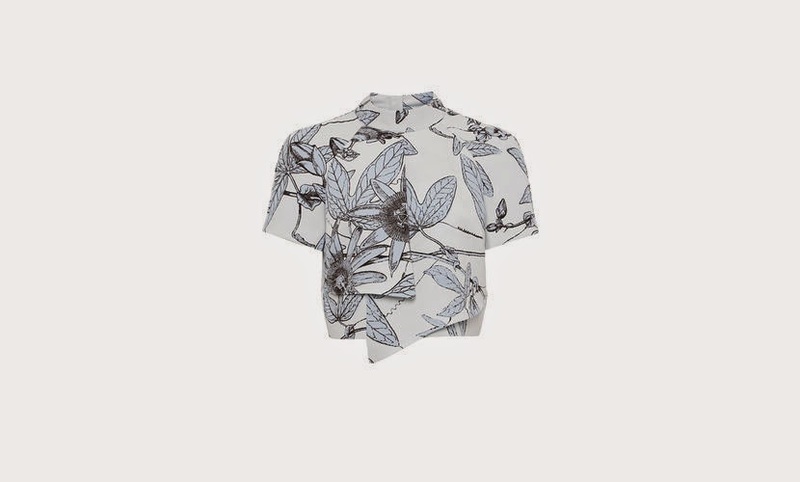 This artistic styled shirt is without a doubt my favourite piece on this list. It's one of those tops which people will notice. The slimline collar means most face shapes can wear it (I have a very small face and I find collars can often make me look about five years old) and boxy style will suite all shapes! To go from day to night all you would need to do is add a pair of heels and undo a few of the buttons, adding a statement necklace. This is at the higher end of the price range but is a great investment piece. Its batik style helps to create a unique looking piece which I would say looks more top end designer than something you'd find on the high street. If you do want to invest in some 'splurge' items this season, you should consider this one. Another piece of higher value, but its large print and creative shape make this piece worth it. If the summer of 2015 is anything like the one of 2014 then we will need more of these t-shirts! Team with wide leg trousers and a floppy hat for a highstreet boho look. 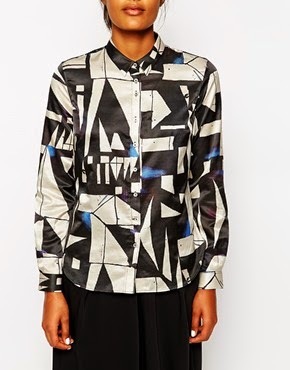 This silk printed shirt is ideal for anyone in work. 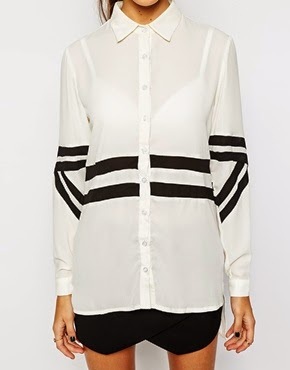 It's an upgrade on the classic white shirt making it a new work wardrobe staple. The understated pattern can liven up any older suites, keeping them fresh and modern. This T-shirt is a fabulous bargain. 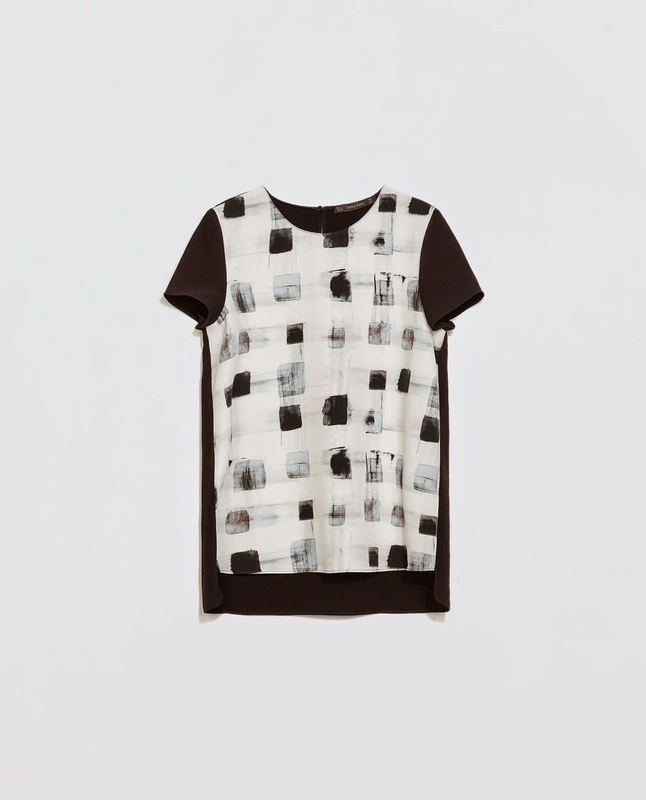 Its brushstroke patterns and mixed fabric make it look like something a bit more high end. The colour blocking style remains on trend. Layer up with a big chunky cardigan and waisted smart joggers.